If I had to come up with ONE thing that would make crocheting easier, I’d say organization. Whether that’s organizing my yarn stash, keeping track of my rows or stitches, or keeping track of my patterns, I NEED IT ALL! 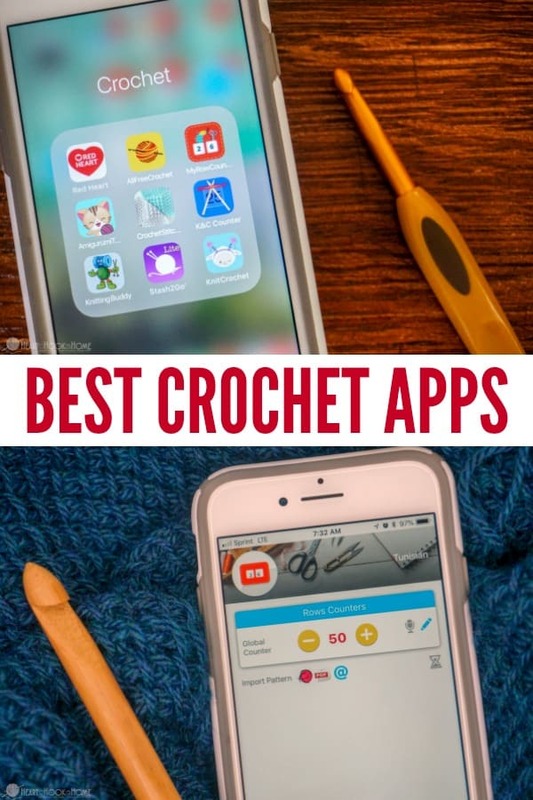 This list of the Best Free Crochet Apps will get those creative juices flowing, and help to keep them flowing! What about those times you just need help keeping track of your stitches, your rows, or patterns you haven’t gotten around to yet? Here are twelve FREE crochet apps that will aid you in your quest for crochet glory. Onward, friend! As with just about everything that is free, you’ll find ads displayed on these apps. 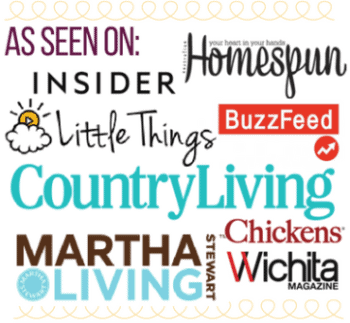 Many in this list also have a paid option that will remove those ads for you. Worth it if you really love the app, I say! Note that this list includes a mix of Android and Apple. Stash 2 Go is the most recognized Ravelry app, as Ravelry does not have their own. I have found Stash 2 Go (lite version) to be a bit clunky with fewer options than the full site allows. If you’re looking for apps that link to Ravelry specifically, they have already compiled that list for us! There are over 30 apps that connect to Ravelry, so scroll through them until you find one that suits your needs. LoveCrochet does connect to your Ravelry account. I like this one because it is free, it tracks your progress, and they share exclusive patterns. This crochet app has excellent reviews! This crochet app is excellent for keeping track of your progress AND for taking notes. With Knit & Crochet Counter you can even have multiple projects in the works! What’s better? Pattern repeats are a breeze. Enter in your rows and it will even tell you the estimated time left on a project. Say what now?? How awesome is that?! And for free! This app does connect to Ravelry. Amigurumi Today is a free app which offers one new Amigurumi pattern per week. They have some adorable stuffies, and the ability to bookmark your favorites. Why are we not surprised that Red Heart has their own app? With this free app you can search for projects, yarn, and inspiration. One of the most handy features is their help with coordinating colors. Enter in (or snap a photo of) what Red Heart yarn color you have, and it will help you decide what colors will compliment it. Awesome, right? If you use a lot of Red Heart yarn, this would be a nice app for you. This app would be best used by intermediate-level crocheters for inspiration, I think. If you’re wanting to crochet a baby blanket, for example, whip out your Crochet Stitches app and scroll through their collection of stitches until you find a pretty one. They do show how to crochet the stitch, but I wish they had video tutorials as well – which is why I don’t find it too beginner-friendly. All Free Crochet is a website that does crochet reviews, shares patterns, and they have their own app as well. It’s free, and easy to find exactly what you’re looking for. I like how they categorize designs and patterns by holiday, genre, or age. Quite handy! The Knitting and Crochet Helper app has a handy dandy yarn weight chart, fully equipped with recommended hook sizes, ply, and crochet gauge. In the menu you will also find a glossary of crochet abbreviations, and an easy-to-use row counter. The Crochet & Knit counter is unique in that the app forces your phone to stay open (which, I know – good and bad here) so that when you’re ready to record another row completed you do not have to stop, open up your phone, record, and set your phone back down before starting a new row. It’s the small things in life, isn’t it? The Knitting Buddy app is great for keeping track of your progress in multiple ways. Keep track of multiple projects, keep notes for each project, time yourself, and find the abbreviation list if you get stuck. Have a pdf of a pattern? Import it into this app to help you stay organized and focused. My Row Counter also has a VOICE control so you don’t even have to touch your phone. Oh yasss, girl. This is one of the best free crochet apps and has excellent reviews! My personal favorite. While ibotta isn’t a crochet app specifically, they do save you money on yarn! When you shop at Joann, unlock the rebates and get 3%, 5%, or even 10% back on your ENTIRE purchase! This includes just about everything in the store, and you can use any coupons when you pay. After paying, scan the bottom of your receipt and the funds will be deposited into your ibotta account. When you hit $20, cash out for Joann gift cards, Walmart gift cards, PayPal or a plethora of other options. Another app I found in my quest is the iStitch Counter app. This app helps you keep track of your projects with their row and stitch counter. I have not personally tried this app because of the poor reviews (which is why it is not in the “best” list above). If you’ve had a better experience with this app, please let me know and I will give it a go. 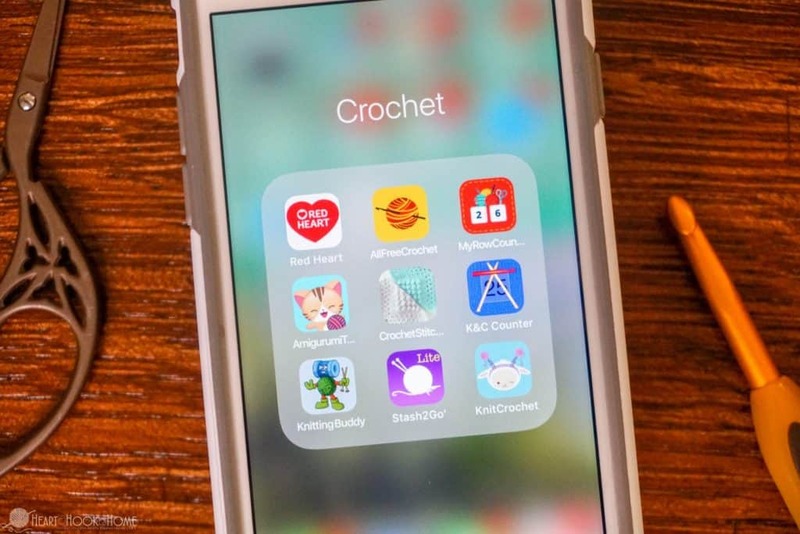 Which of these free crochet apps is your favorite? Just reading this list I am inspired to go crochet something. Staying organized will be a breeze with these, don’t you think? Another good counter is called BeeCount. It's a great counter that even lets you set up automatic repeats, a must when you're following different charts with different row counts on the same pattern. Oh awesome! I will look that one up! 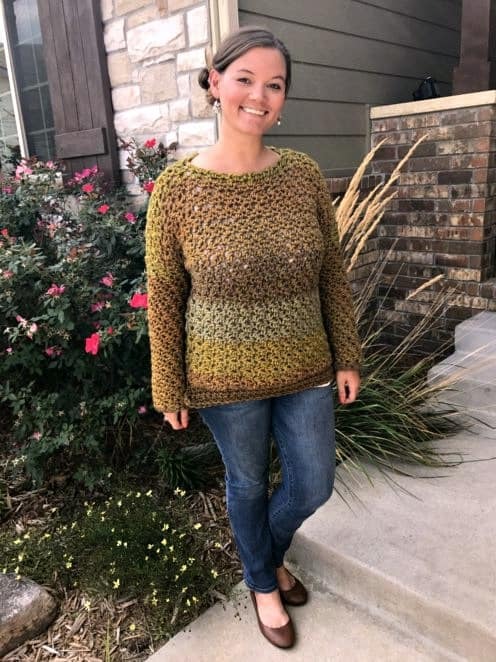 Thank you for putting this list together, I’ve snagged most of them and will give them all a go :) The cyber world has certainly reinvented the world of crochet, there isn’t much we can’t learn, create and share ! Hook on, and thanks again. I've always been a fan of Knitting Buddy but now I have some others to try out, too. Thanks! Ooooh! I will check that! Thank you! These are definitely cool apps, but the ones I wanted most are only for iOS. So sad. Go to the play store and type in the name of the app. I have found them all there.